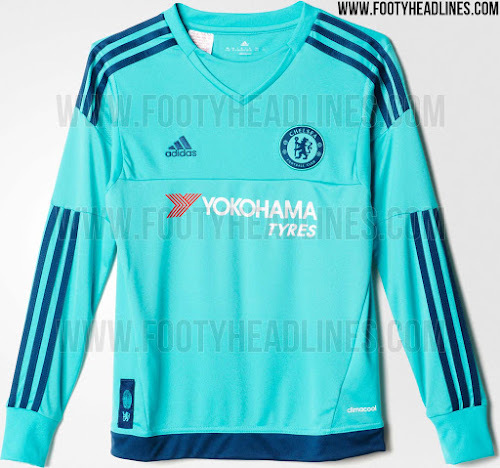 Chelsea goalkeeper Thibaut Courtois looks absolutely ecstatic about the new kit! Will he lead the Premier League in clean sheets this year? 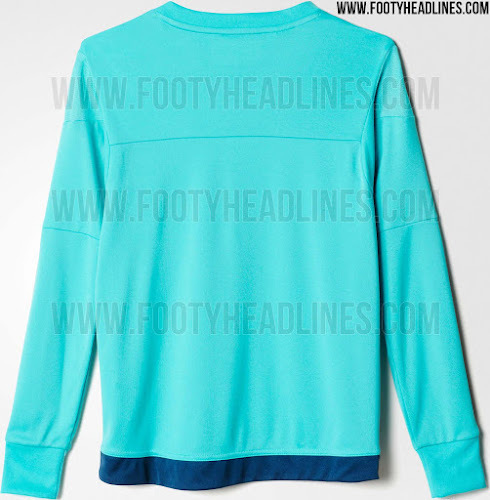 Images of the Chelsea goalkeeper kit for the 2015-16 season have been leaked by Footy Headlines – and they detail a bold yet classy look for Blues’ stopper Thibaut Courtois. 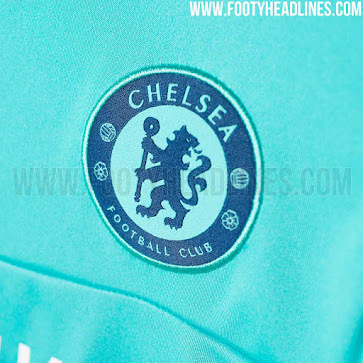 The new goalkeeper kit uses the navy + mint green color scheme as it did before, but excludes the white stripes Courtois had in his prior kit. Unfortunately, the Yokohama Tyres logo might have gone a little bit better if there was more white in the overall kit – the red “Y” and white lettering don’t really mesh too well and sort of clash with the overall design. Courtois emerged as an elite stopper for the Blues in 2014 after being given the arduous task of filling in for legendary stopper Petr Cech. But the 23-year-old Belgian responded resoundingly with 12 clean sheets as Chelsea won the 2014-15 Premier League. 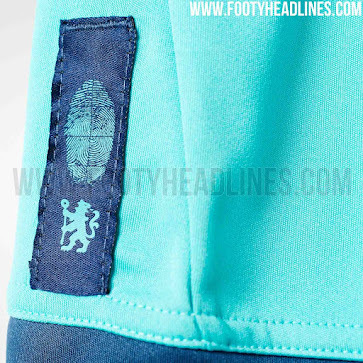 The Chelsea logo will also be featured on a mint background instead of the traditional white.